Tag Archive | "nuclear weapons"
Is there still hope for peace as North Korea advances its nuclear agenda? As the Second World War ended, the US and the Soviet Union divided Korea in half and the Korean War deepened the divide. Today, North Korea is accelerating the development of its nuclear program. Its motivation for testing is “rooted in a desire for political autonomy, national prestige and military strength.” This article aims to answer: How does North Korea’s nuclear program work and what is involved in U.S. defense? How has the international community responded to North Korea’s tests and threats? What legal arguments can we make regarding North Korea’s recent actions? And should we proceed militarily or diplomatically? In July 2017, North Korea successfully tested an inter-continental ballistic missile (“ICBM”), which appeared capable of hitting Alaska and Hawaii. Then, North Korea tested a missile capable of hitting California. In response to these ballistic missile tests, the United Nations Security Council adopted sanctions against North Korea. There are 4 main kinds of missiles: short range, medium range, intermediate, and ICBM. For an ICBM to reach its desired destination, it needs to go beyond the atmosphere and then come back down. North Korea’s second ICBM test appeared to have the potential to reach the West Coast, and potentially Denver and Chicago. While North Korea’s main engine is its most reliable model to date, its main challenge is avoiding a burnt nuclear warhead before it hits the atmosphere. To overcome that challenge, North Korea needs a reentry vehicle that acts like a shield. However, manufacturing defects could cause the warhead to go off course. Nevertheless, the U.S. believes North Korea has created a warhead small enough to fit on the ICBM, ensuring a longer range. Further, analysis reveals that North Korea’s latest underground nuclear test suggests a “two-stage thermonuclear” bomb larger than those dropped on Hiroshima and Nagasaki. Nuclear weapons “depend on the splitting apart, or fission, of atoms for their explosive power.” That splitting apart is just the beginning for thermonuclear weapons. To intercept an ICBM, the U.S. would need censors to track the warheads, launchers to fire interceptors, and missiles that can destroy the warheads. The U.S. has two main types of defense: theater, which is regional, and homeland defense. The former involves Terminal High-Altitude Area Defense (THAAD) in Guam and South Korea along with 19 U.S. warships in the Pacific. While these are good for short or medium range missiles, U.S. interceptors have not had a consistent success rate concerning target missiles. When a nuclear warhead separates from a missile in space, it becomes difficult to distinguish it from debris or potential decoys. Therefore, there is reason to worry about the interceptors used for U.S. homeland defense. While most of the hope for North Korea to terminate its nuclear program by Trump and his predecessors has been in China, their hope is based on three unfounded assumptions. First, their hope assumes outside influence could persuade North Korea to abandon its nuclear weapons. Second, China could exercise such an influence. Third, China will influence North Korea once China is properly persuaded. What can China do? According to John Delury, a professor at Yonsei University in Seoul, China can keep decreasing its trade and investment relations with North Korea. However, such actions will not break Kim Jong-un because “the North Korean system is especially good at…absorbing pain.” Moreover, sanctions by China have either made little change or backfired, leading to embarrassment for China. China is in a delicate position with the risk of war at its border, the arrival of American troops at its doorstep, and the flooding of North Korean refugees into its mainland. At this point, China says it will close business joint ventures with North Korea, in line with the latest United Nations sanctions. Russia is at odds with Germany and France about sanctions on North Korea. Vladimir Putin is unconvinced of the effect of sanctions, claiming North Korea would “eat grass” before giving up their nuclear program. However, the United States did manage to compromise with Russia before imposing the new set of sanctions on North Korea. The sanctions limit crude and refined oil exports to North Korea, limit prohibited and refined petroleum sales, and ban all North Korean textile exports. The objective of the Treaty on the Non-Proliferation of Nuclear Weapons (“NPT”) is to “prevent the spread of nuclear weapons and weapons technology, to promote cooperation in the peaceful uses of nuclear energy and to further the goal of achieving nuclear disarmament and general and complete disarmament.” The NPT prohibits non-nuclear weapon state parties from developing nuclear weapons. While the five de jure nuclear weapons states (France, China, Russia, United States, and United Kingdom) are exempted from this prohibition, Article VI requires them to eventually disarm. While India, Israel, and Pakistan are considered de facto nuclear weapon states, they are not party to the NPT. Uniquely, North Korea withdrew from the NPT in 2003. 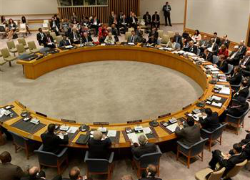 The question remains: did North Korea violate international law by withdrawing from the NPT? The first possibility is that North Korea violated the principle laid out in Article 26 of the Vienna Convention on the Law of Treaties (“VCLT”). Article 26 requires states to carry out their international treaty obligations in good faith under the principle of pacta sunt servanda. However, a state can only really be bound to an international treaty if it consents. North Korea has left the NPT, which could mean that it no longer consents to stop developing its nuclear program. The third possibility is an estoppel argument, which falls under general principles of law. Article 38(1)(c) of the ICJ’s Statute recognizes general principles as a secondary source of law and applies these principles when the law is not clear. These principles are legal norms that include equity, estoppel, and laches. Estoppel requires a State to act consistently in its representation of a factual or legal issue. However, in its Serbian Loans case, the ICJ’s predecessor stated that a State’s prior statements or acts could only be held against the State if they were “clear and unequivocal.” North Korea has conducted six nuclear tests since its public withdrawal and intent not to produce nuclear weapons. While estoppel appears to be the winning argument for a North Korean violation of international law, estoppel is a secondary source of law and a gap-filler argument. Moreover, another State would have to argue that they relied upon North Korea’s inconsistent acts and accordingly suffered an injury. Does North Korea Have Obligations to De-Nuclearize outside the NPT? There may be other ways to claim that North Korea violated international obligations concerning nuclear weapons, such as obligations under customary international law. Customary international law is binding on all States, formed through widespread and consistent state practice, coupled with opinio juris. State practice is the physical and verbal acts of States acting in conformity, or not, with a particular norm. State practice must be “extensive and virtually uniform” and include states whose interests would be “specially affected.” Specially affected states, that is the nuclear weapons states, have not acted in conformity with the norm of disarming. Specifically, the United States and Russia have only slightly decreased their stockpiles. Further, according to the ICJ, the NPT does not establish a new rule of customary international law prohibiting the use of nuclear weapons. Opinio juris is a state’s belief that it has a legal obligation. None of the nuclear weapons states signed the now in force Treaty on the Prohibition of Nuclear Weapons, evincing that these states do not believe they have a legal obligation to completely disarm. Further evidence of a lack of opinio juris includes a statement by France, the United States, and the United Kingdom, which declares, “this treaty [banning nuclear weapons] offers no solution to the grave threat posed by North Korea’s nuclear program, nor does it address other security challenges that make nuclear deterrence necessary.” While the NPT demonstrates an attempt to move towards disarmament and non-proliferation, little evidence supports corresponding customary international law. Under customary laws of war, jus ad bellum governs conditions in which a State may resort to force. Under jus ad bellum, there is a paradigm called international humanitarian law. A key principle under international humanitarian law is distinction, which requires states to distinguish between legitimate military targets and those who have civilian status. In its advisory opinion, the ICJ noted that mines and chemical weapons inherently violate international humanitarian law. However, the ICJ ultimately concluded that it could not rule out the lawfulness of the use of a nuclear weapon in “extreme circumstances of self defense.” While advisory opinions are not binding, the ICJ opened the door for states to justify their use of atom bombs. North Korea may have violated the UN Charter. Article 2(4) of the Charter requires states to “refrain in their international relations from the threat or use of force against the territorial integrity or political independence of any state.” This prohibition is viewed by the international community as an inherent obligation on all States. North Korea’s nuclear tests, missile launches, and verbal threats to launch an armed ICBM aimed at the continental U.S. could constitute a violation of this prohibition. The only exceptions to this prohibition are self-defense and Security Council authorization, which appear to be a hard sell for North Korea after its recent surge in tests and threats. 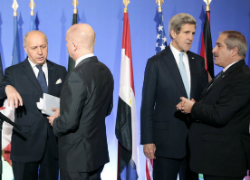 What Happens Next, a Military Option or Diplomacy? A military option, or a pre-emptive U.S. strike against North Korea would have devastating consequences. First, the casualties would be in the hundreds of thousands, even millions. 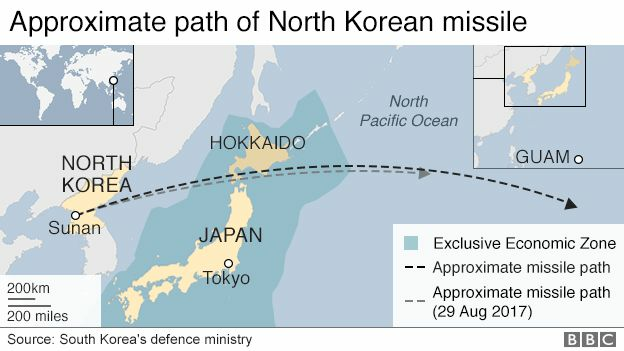 Japanese citizens and 10 million South Korean residents are directly in the range of North Korea’s missiles. In addition, 28,000 U.S. servicemen are based in South Korea. Second, the U.S. could risk its alliances with Japan and South Korea. Third, the U.S. could ruin its delicate relationship with China. In 1795, Kant furnished the idea that our objective is peace and that as the world evolves we are progressing towards it. If we aim to de-nuclearize North Korea through non-military means as Rice suggests, we can move one step closer to realizing that goal. Meera Nayak is a staff editor on the Denver Journal of International Law & Policy. Immanuel Kant, Perpetual Peace: A Philosophical Sketch 108 (1795). BBC, North Korea: What can the outside world do?, BBC (July 4, 2017), http://www.bbc.com/news/world-asia-39216803. BBC, North Korea crisis in 300 words, BBC (Sep. 5, 2017), http://www.bbc.com/news/world-asia-40871848. Dr. Nilsson-Wright, North Korea’s nuclear tests: How should Trump respond?, BBC (Sep. 3, 2017), http://www.bbc.com/news/world-asia-41143589. Chloe Sang-Hun, U.S. Confirms North Korea Fired Intercontinental Ballistic Missile, N.Y. Times (July 4, 2017), https://www.nytimes.com/2017/07/04/world/asia/north-korea-missile-test-icbm.html. David E. Sanger et al., North Korea Tests a Ballistic Missile That Experts Say Could Hit California, N.Y. Times (July 28, 2017), https://www.nytimes.com/2017/07/28/world/asia/north-korea-ballistic-missile.html. CNN, North Korea Nuclear Timeline Fast Facts, CNN (Sep. 4, 2017), http://www.cnn.com/2013/10/29/world/asia/north-korea-nuclear-timeline—fast-facts/index.html. Peter Baker & Chloe Sang-Hun, Trump Threatens ‘Fire and Fury’ Against North Korea if It Endangers U.S., N.Y. Times (Aug. 8, 2017), https://www.nytimes.com/2017/08/08/world/asia/north-korea-un-sanctions-nuclear-missile-united-nations.html. Chloe Sang-Hun, North Korea Says It Might Fire Missiles Into Waters Near Guam, N.Y. Times (Aug. 9, 2017), https://www.nytimes.com/2017/08/09/world/asia/north-korea-missiles-guam.html. Peter Baker, Trump Doubles Down on Threats Against North Korea as Nuclear Tensions Escalate, N.Y. Times (Aug. 10, 2017), https://www.nytimes.com/2017/08/10/world/asia/north-korea-trump.html. Peter Baker, Trump Says Military Is ‘Locked and Loaded’ and North Korea Will ‘Regret’ Threats, N.Y. Times (Aug. 11, 2017), https://www.nytimes.com/2017/08/11/world/asia/trump-north-korea-locked-and-loaded.html?hp&action=click&pgtype=Homepage&clickSource=story-heading&module=a-lede-package-region&region=top-news&WT.nav=top-news. Chloe Sang-Hun & David E. Sanger, North Korea Fires Missile Over Japan, N.Y. Times (Aug. 28, 2017), https://www.nytimes.com/2017/08/28/world/asia/north-korea-missile.html. Arshad Mohammed & Phil Stewart, Trump may have to settle for deterring, not disarming, North Korea, REUTERS (Sep. 7, 2017), https://www.reuters.com/article/us-northkorea-missiles-deterrence/trump-may-have-to-settle-for-deterring-not-disarming-north-korea-idUSKCN1BI2RO. Scott Neuman, U.S. Says North Korea Is ‘Begging For War’, NPR (Sep. 4, 2017), http://www.npr.org/sections/thetwo-way/2017/09/04/548461574/haley-north-korea-begging-for-war. Peter Baker & Rick Gladston, With Combative Style and Epithets, Trump Takes America First to the U.N., N.Y. Times (Sep. 19, 2017), https://www.nytimes.com/2017/09/19/world/trump-un-north-korea-iran.html. The New York Times, Full Text of Kim Jong-un’s Response to President Trump, N.Y. Times (Sep. 22, 2017), https://www.nytimes.com/2017/09/22/world/asia/kim-jong-un-trump.html. Peter Baker & David Sanger, Trump Says Tillerson Is ‘Wasting His Time’ on North Korea, N.Y. Times (Oct. 1, 2017), https://www.nytimes.com/2017/10/01/us/politics/trump-tillerson-north-korea.html. Al Jazeera, Trump on North Korea: ‘Only one thing will work,’ N.Y. Times (Oct. 7, 2017), http://www.aljazeera.com/news/2017/10/trump-north-korea-work-171008041543749.html. North Korea: Nuclear war may break out at ‘any moment,’ N.Y. Times (Oct. 16, 2017), http://www.aljazeera.com/news/2017/10/north-korea-nuclear-war-break-moment-171017034147416.html. Robin Stein & Drew Jordan, Can the U.S. Stop a North Korean Missile?, N.Y. Times (Aug. 27, 2017), https://www.nytimes.com/video/us/100000005350585/us-missile-attack-defense.html. William J. Broad et al., This Missile Could Reach California.But Can North Korea Use It With a Nuclear Weapon?, N.Y. Times (Sep. 3, 2017), https://www.nytimes.com/interactive/2017/08/22/world/asia/north-korea-nuclear-weapons.html?_r=0. Geoff Brumfiel, Here Are The Facts About North Korea’s Nuclear Test, NPR (Sep. 3, 2017), http://www.npr.org/sections/thetwo-way/2017/09/03/548262043/here-are-the-facts-about-north-koreas-nuclear-test. Stein & Jordan, supra note 20. Max Fisher, Bad News, World: China Can’t Solve the North Korea Problem, N.Y. Times (Sep. 6, 2017), https://www.nytimes.com/2017/09/06/world/asia/china-north-korea-nuclear-problem.html?mtrref=www.nytimes.com. Chloe Sang-Hun, North Korea Says U.N. Sanctions Are Causing ‘Colossal’ Damage, N.Y. Times (Sep. 29, 2017), https://www.nytimes.com/2017/09/29/world/asia/north-korea-un-sanctions.html. Sang-Hun & Sanger, supra note 12. Chloe Sang-Hun, South Korea Faces an Uncomfortable Reality: A Nuclear Neighbor, N.Y. Times (Aug. 21, 2017), https://www.nytimes.com/2017/08/21/world/asia/south-korea-north-nuclear-weapons.html. Scott Neuman, Putin: North Korea Would ‘Eat Grass’ Before Giving Up Nukes, NPR (Sep. 5, 2017) http://www.npr.org/sections/thetwo-way/2017/09/05/548676414/putin-north-korea-would-eat-grass-before-giving-up-nukes. Richard Gonzales, U.N. Security Council Approves New North Korea Sanctions, NPR (Sep. 11, 2017), http://www.npr.org/sections/thetwo-way/2017/09/11/550301634/u-n-security-council-approves-new-north-korea-sanctions. REUTERS, Merkel suggests Iran-style nuclear talks to end North Korea crisis, REUTERS (Sep. 9, 2017), https://www.reuters.com/article/us-northkorea-missiles-germany/merkel-suggests-iran-style-nuclear-talks-to-end-north-korea-crisis-idUSKCN1BK0WU. Treaty on the Non-Proliferation of Nuclear Weapons (NPT), United Nations Office for Disarmament Affairs, https://www.un.org/disarmament/wmd/nuclear/npt/. Treaty on the Non-Proliferation of Nuclear Weapons, Dec. 12, 1985, 729 U.N.T.S. 161 [hereinafter NPT]. Democratic People’s Republic of Korea: Accession to Treaty on the Non-Proliferation of Nuclear Weapons (NPT), United Nations Office for Disarmament Affairs (2003), http://disarmament.un.org/treaties/a/npt/democraticpeoplesrepublicofkorea/acc/moscow. Vienna Convention on the law of treaties art. 26, May 23, 1969, 1155 U.N.T.S. 311. NPT, supra note 55, at art. X.
 N.Y. Times, Full Text: North Korea’s Statement of Withdrawal, N.Y. Times (Jan. 10, 2003), http://www.nytimes.com/2003/01/10/international/asia/full-text-north-koreas-statement-of-withdrawal.html. Statute of the International Court of Justice art. 38(1)(c), Apr. 18, 1946, http://legal.un.org/avl/pdf/ha/sicj/icj_statute_e.pdf. Nuclear Tests (Austl. v. Fr. ), Judgment, 1974 I.C.J. Rep. 253, (Dec. 20). Payment of Various Serbian Loans Issued in France (Fr. v. Yugo. ), 1929 P.C.I.J. (ser. A) No. 20 (July 12). North Sea Continental Shelf Cases (Ger. v. Den. ; Ger. v. Neth. ), Judgment, 1969 I.C.J. Rep. 3, ¶ 71 (Feb. 20). Jurisdictional Immunities of the State (Germ. v. It. ), Judgment, 2010 I.C.J. Rep. 310, ¶ 55 (July 6). North Sea Continental Shelf Cases (Ger. v. Den. ; Ger. v. Neth. ), Judgment, 1969 I.C.J. Rep. 3, ¶ 74 (Feb. 20). Micah Zenko, Toward Deeper Reductions in U.S. and Russian Nuclear Weapons, CFR (Nov. 2010), https://www.cfr.org/report/toward-deeper-reductions-us-and-russian-nuclear-weapons. Jill M. Sheldon, Nuclear Weapons and the Laws of War: Does Customary International Law Prohibit the Use of Nuclear Weapons in All Circumstances, 20 Fordham Int’l L. J. 181, 1996, at 248-49. Case Concerning Military and Paramilitary Activities In and Against Nicaragua (Nicar. v. U.S.), Judgment, 1986 I.C.J. Rep. 14, ¶ 188 (June 27). Treaty on the Prohibition of Nuclear Weapons, United Nations Treaty Collection (July 7, 2017), https://treaties.un.org/Pages/ViewDetails.aspx?src=TREATY&mtdsg_no=XXVI-9&chapter=26&clang=_en. Al Jazeera, Dozens of states sign treaty banning nuclear weapons, Al Jazeera (Sep. 20, 2017), http://www.aljazeera.com/news/2017/09/dozens-states-sign-treaty-banning-nuclear-weapons-170920160614985.html. McNab & Matthews, Clarifying the Law relating to Unmanned Drones and the Use of Force: The Relationships between Human Rights, Self-Defense, Armed Conflict, and International Humanitarian Law, 39 Denv. J. In’l L. & Pol’y 661, 2011, at 125. Protocol Additional to the Geneva Conventions of 12 August 1949, and Relating to the Protection of Victims of International Armed Conflicts (Protocol I) art. 57(2)(a)(i), June 8, 1977, 1125 U.N.T.S. 3 [hereinafter Additional Protocol I]. Legality of the Threat or Use of Nuclear Weapons, Advisory Opinion, 1996 I.C.J. 226, ¶¶ 76-77 (July 8). Gabrielle Blum, The Laws of War and the “Lesser Evil”, 35 Yale J. of Int’l L., 2010, at 25. Ian Brownlie, Principles Of Public International Law 510-12 (7th ed. 2008). U.N. Charter, supra note 83, at art. 42, 51, 53. Susan E. Rice, It’s Not Too Late on North Korea, N.Y. Times (Aug. 10, 2017), https://www.nytimes.com/2017/08/10/opinion/susan-rice-trump-north-korea.html. Mohammed & Stewart, supra note 13. Colin Dwyer, ‘All Options Are On The Table': Unease Reigns After North Korean Missile Test, NPR (Aug. 29, 2017), http://www.npr.org/sections/thetwo-way/2017/08/29/546992435/-all-options-are-on-the-table-unease-reigns-after-north-korean-missile-test. On April 15, 2013, North Korea celebrated the 101st birthday of its founding leader, Kim Il Sung. The day was filled with flowers to honor both its founder and current leader, Kim Jong Un; however, North Korea did not take a reprieve from threatening South Korea and the United Nations. From Pyongyang, North Korea’s capital, the KCNA reported that “[o]ur retaliatory action will start without any notice from now.” Pyongyang’s comments were directed at South Korea’s protest to the celebrations. This is the latest in a long line of threats North Korea has directed at the United Nations and its member countries. Just a few days ago, Pyongyang threatened that “Japan is always in the cross-hairs of our revolutionary army and if Japan makes a slightest move, the spark of war will touch Japan first.” North Korea warned that Tokyo would be the first city targeted for a nuclear strike. While North Korea continues to threaten the United Nations, member countries Japan and the United States remain positive that a peaceful resolution can be reached through talks. U.S. Secretary of State John Kerry urged the regime in North Korea to stop its nuclear program and hold talks with the United States and Japan. 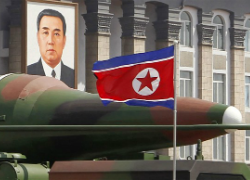 In response, the KCNA cited North Korea’s military leaders, stating, “If the puppet authorities truly want dialogue and negotiations, they should apologize for all anti-DPRK hostile acts, big and small, and show the compatriots their will to stop all these acts.” Although North Korea’s media continues to insult and disregard the United Nations, many believe that talks are still a possibility and a resolution can be reached. However, this has not prevented South Korea and the United Nations from readying for a possible North Korean attack. South Korean Defense Ministry spokesman Kim Min-seok said South Korea was closely monitoring North Korea’s moves and was ready for any attack. 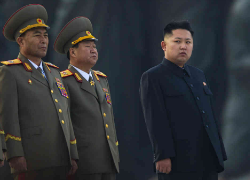 The North’s threat is “regrettable,” Kim told reporters. “We will thoroughly and resolutely punish North Korea if it launches any provocation for whatever reason.” Japan, too, launched fighters to protect its capital from the threat issued by Pyongyang. While the United Nations and its member countries continue to wish for a peaceful resolution with North Korea, it appears that peace may be a long way off. 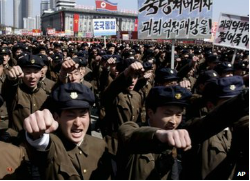 Critical Analysis: What’s up with North Korea? Since being sanctioned by the UN in March for carrying out a third nuclear test, Pyongyang has threatened nuclear strikes on the US, formally declared war on the South, and pledged to reopen a nuclear reactor in blatant defiance of UN Security Council resolutions. On Friday, North Korea warned it would not be able to guarantee the safety of foreign embassy staff if war broke out. But not a single country seems to be taking this threat seriously. Foreign embassies in the capital of Pyongyang appear to be staying put so far despite a warning. Russia is considering the request seriously. However, the British have brushed it off, considering the threat “part of a campaign of continued rhetoric” and asserting that North Korea is insinuating that it is making the request because the US poses a threat to North Korea. General Walter Sharp, who until last year was the commander of US forces in Korea, explained the escalation problem to NPR. The “counterprovocation” plan, that the US intends to invoke if the North Koreans launch even a limited artillery attack on South Korea, authorizes the South Koreans to fire back immediately. As defensive plan, at the root it is an “if you are fired at, fire back.” But this could easily mean war. U.S. officials say the counterprovocation plan and the U.S. flexing its muscles send three strong messages: the South Koreans see that the U.S. military is standing behind them; the North Koreans find out what they’d face were they to start something; and China sees how high the stakes are and why it may need to rein North Korea in. Furthermore, the Pentagon decided to delay an intercontinental ballistic missile test that was scheduled for next week at Vandenberg Air Force Base in California, for fear that it would only intensify the tensions between the US and North Korea. North Korea has become angered by the military exercises that the US and South Korea are doing. These exercises demonstrate potential power the two allies have to strike back: B-2 bombers and F-22 fighters, and ballistic missile defense-capable warships. But while the US is taking the threats seriously, leaders continue to say that there are no obvious signs that North Korea is planning for a large-scale attack. Does North Korea have any support internationally? Chinese officials who value stability above all else will probably not abandon North Korea altogether during these tensions. But seeing an opportunity amid Chinese frustrations, the Obama administration is attempting to push Beijing to take a much stronger stance against the renegade country than it has in the past. China is tightening its stance; it wants dialogue to ease tensions, not war. Mimi Faller is a 2L at DU Law and a Staff Editor for the Denver Journal of International Law and Policy. Despite his efforts, Rodman was not able to quell the ongoing tensions between the United States and Korea. Days after the basketball match in Pyongyang, the United States and South Korea engaged in annual joint military exercises. In response, North Korea cut communications with South Korea and rescinded its cease-fire agreement with the United States and South Korea, signed in 1953. Adding fuel to the fire, the UN has increased sanctions to North Korea, effectively keeping North Korea’s rich from buying yachts and sports cars, a move North Korea has vowed to retaliate against with nuclear weapons. Although hostilities have thankfully not re-started following North Korea’s withdraw from the cease-fire agreement, tensions are on the rise. North Korea has finally had a successful test of a long-range missile and has renewed threats to use nuclear weapons against South Korea. In response, the United States has pledged to upgrade their missile defense system, effectively negating North Korea’s new-found capabilities. Whether or not one or both sides are posturing remains to be seen, since China has yet to weigh in on the issue in its current state. That outlines the current stalemate. 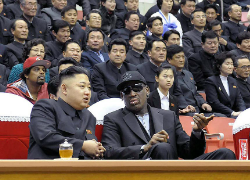 Dennis Rodman flew to North Korea to sit with Kim Jong-un and watch basketball. Rodman’s suave diplomacy skills uncovered Kim Jong-un’s deep seeded desire to just have a seat at the table with a personal invitation from President Barack Obama. Meanwhile, the world waits with bated breath to see whether China will permit the United States to increase missile defense, rendering not only North Koreans missiles ineffective, but Chinese missiles as well. Some argue that the West is continually trying to find ways to contain Iran and their believed attempt to acquire nuclear weapons. Recent infighting shows that the country’s leadership may be splintering leading to a fissure in the Islamic Republic of Iran. Do these public confrontations present an opportunity for the West to find workable solutions to this issue? 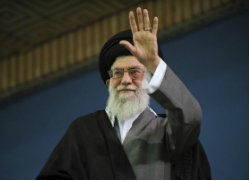 The Iranian Supreme Leader Ayatollah Ali Khamenei is finding himself in new territory, wading into the internal political battles of Iran. 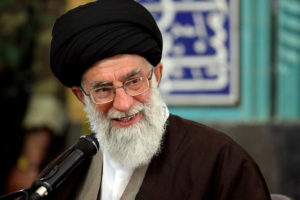 Khamenei has been forced to respond to the ever more confrontational President Mahmoud Ahmadinejad. This conflict began in 2011 when Ahmadinejad challenged Khamenei over the appointment of a high-ranking intelligence ministry post. Since, Ahmadenejad has taken several other opportunities to raise tension between himself and the Supreme Leader, forcing several of Ahmadinejad’s political allies off the upcoming ballot. However, it seems that a significant majority of lawmakers are still loyal to Khamenei. This conflict comes out of a contentious session of parliament. This session included several instances where Ahmadinejad and Iran’s legislative body frequently feuded publicly. This included the impeachment of the President’s labor minister. Also, Ahmadinejad accused a judiciary chief, and appointee of the Supreme Leader, of bribery. These public riffs come ahead of the June presidential election that will elect Ahmadinejad’s successor. Throughout this spat, Khamenei has called for calm, especially against the pressure of economic sanctions from the West. This infighting comes in the face of renewed effort from the West in regards to Iran’s nuclear program. Last week Iran rejected negotiations with the United States. 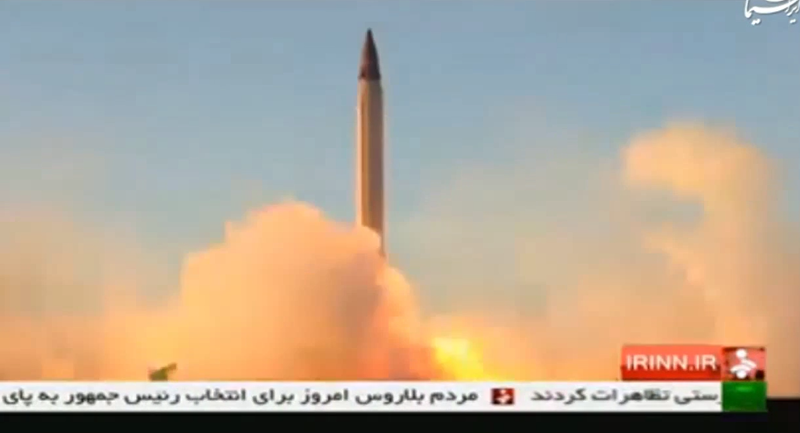 Khamenei proclaimed that if Iran wanted to build nuclear weapons, no country could stop them. The Supreme Leader insisted that before any negotiations will occur, the West must lift all sanctions because Iran will not surrender. After addressing the recent offer to negotiate, Khamenei transitioned into criticizing Ahmadinejad and the speaker of the Parliament. There seems to be a split between the two most powerful men in Iran. Is now the time that the West may be able to leverage the divided leadership in order to reign in Iran? If Iran is Nuclear, What Could (and Should) We Do? The International Atomic Energy Agency plans to release an updated report on Iran, in which the Agency is expected to announce its belief that Iran has now mastered the critical steps that would allow it to build a nuclear weapon. The report allegedly also says there is no evidence that Iran has decided to build nuclear weapons, and Iran has always maintained that it only maintains a peaceful nuclear energy program. The United States is not alone, however, in asking why Iran would acquire the materials and technology necessary to build nuclear weapons if it did not intend to do so. The prospect of a nuclear Iran is often viewed as a destabilizing factor in an already unstable region. 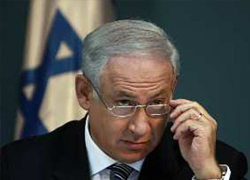 Israel and Iran have a history of negative interactions regarding this issue, including Israel’s 1981 use of bombers to destroy an Iranian nuclear reactor before it could come online. 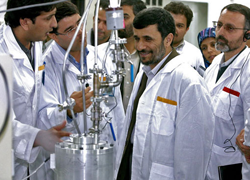 Other Arab states have supported efforts to curb Iran’s nuclear ambitions, and the Washington Post even describes the opposition to an Iranian nuclear program as a rare source of common ground between Israelis and Arabs. If Iran has nuclear capabilities and those capabilities are generally regarded as dangerous, the inevitable question becomes what, if anything, we should do about it. The international community has imposed UN-backed sanctions since 2006, and the United States has imposed its own unilateral sanctions on Iran for nearly three decades. China and Russia have resisted a fourth round of international sanctions on Iran, and though Russia’s position may be softening, China remains opposed to the idea, largely because it views further sanctions as wasted effort. The seeming failure of the sanctions regime has led some to suggest that only the threat of force will lead to any real change. Considering the other instability in the region, however, one has to wonder whether threats of further military campaigns would escalate an already tense situation. The United States has been pursuing a dual-track approach that includes a combination of sanctions and incentives. The BBC suggests that more diplomacy is the route to take, though that may just be because there is little support for military intervention in this political climate. Meanwhile, a recent New Yorker article recommends containment through a combination of political, diplomatic, and military actions. One could expect such containment to include tougher economic sanctions, military posturing (particularly from Israel), and diplomatic pressure. In light of the limited success any of these policies is likely to have, are any of these actions worth the risk? In the wake of the Arab Spring, is there a point at which a nuclear Iran, already feeling surrounded by military campaigns in Afghanistan and Iraq, will decide it has nothing else to lose?